April is Child Abuse Prevention month. We are partnering with Juliette's House in McMinnville to help raise awareness. Blue is the color! 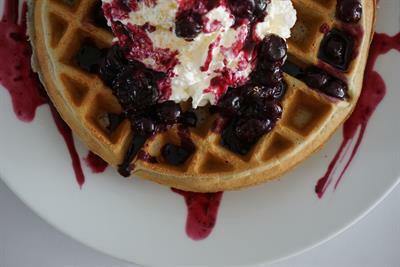 This month we are serving up a special blue blueberry lemon waffle. For every special waffle sold this month, a portion of the proceeds will be donated to the cause. Juliette's House is asking that everyone wear the color blue on April 10th. For more information on Juliette's House, please visit their website. 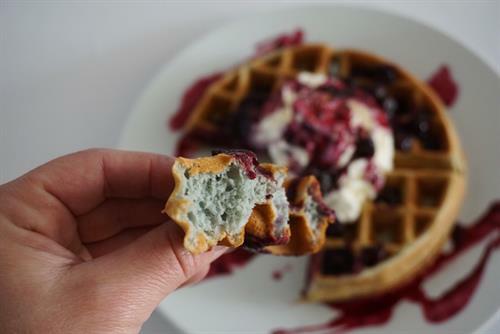 Blueberry Waffles for Prevention will be for the month of April.